← Standing at the bottom of the world! 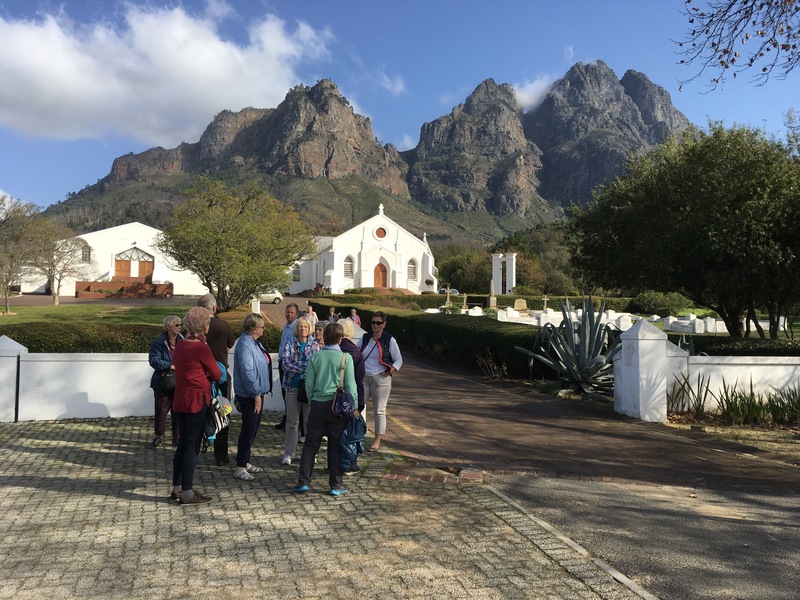 After four fabulous days in Cape Town, we drove to Stellenbosch via Pniel, which is a small town a little further into the mountains. Here, we were hosted by the Boland Kwilters. 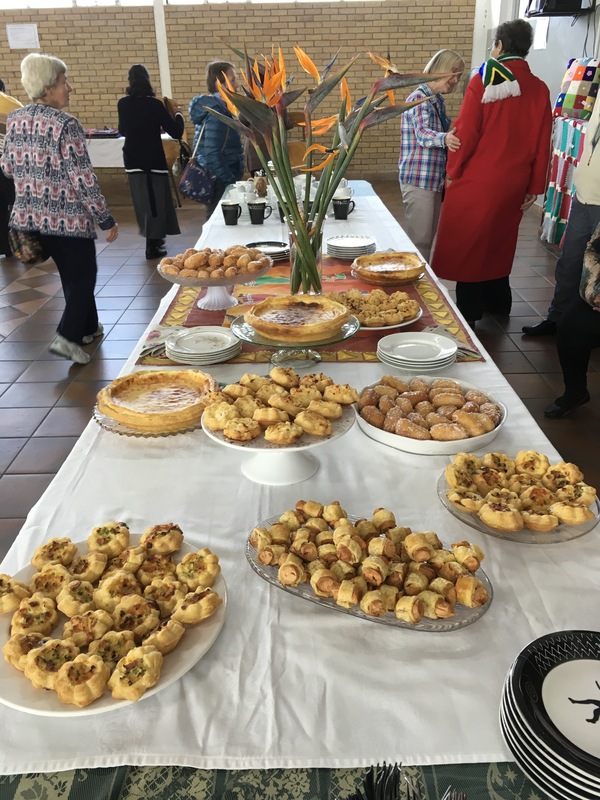 They had set up a lovely exhibition of their work and a table full of food, typical of the area. 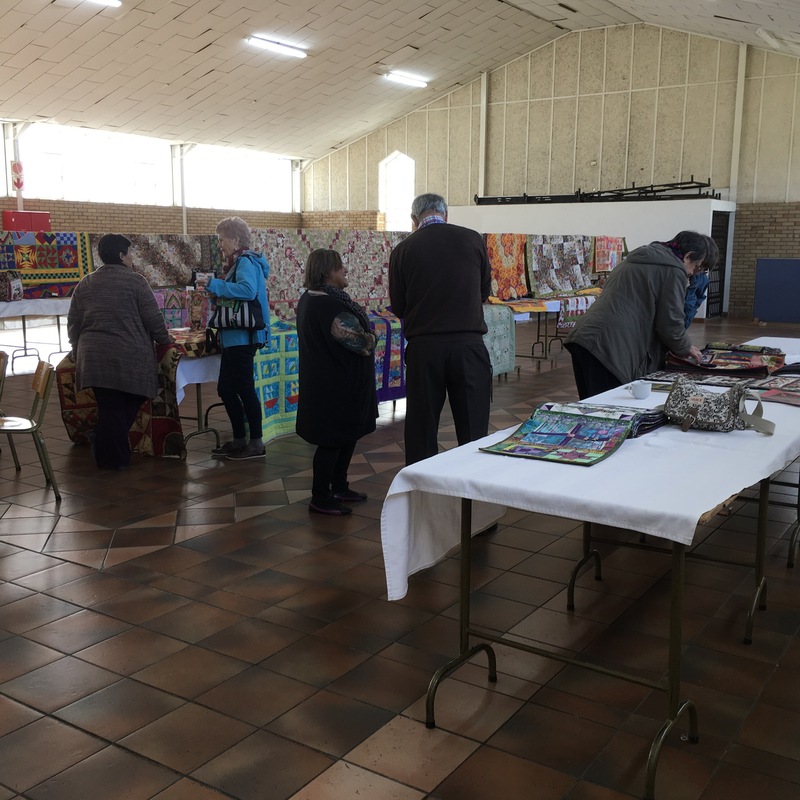 We met up with coloured (this is the correct term) and Africaans quilters who had started to meet in 2012. This was reflected in their sampler and colour wash quilts on display. They spoke to us about how many of them were descended from slaves and others had an Indian ancestry. 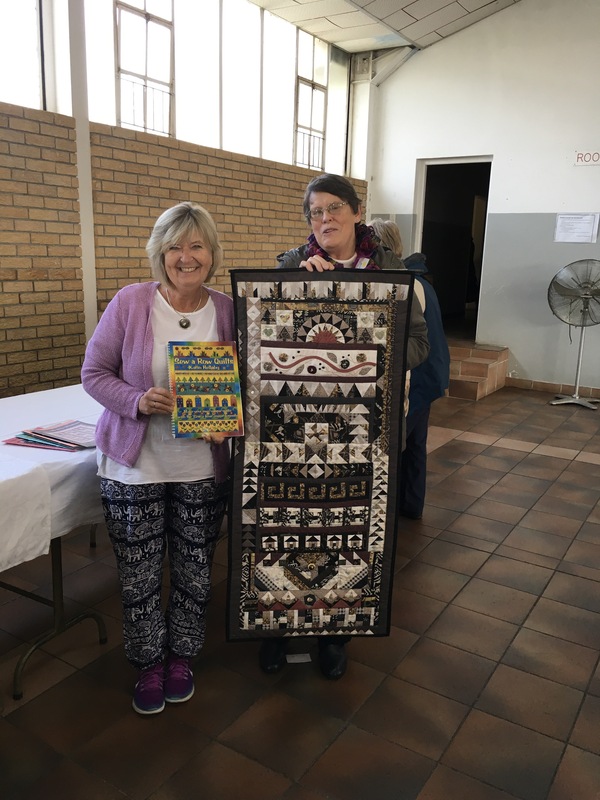 One of their teacher, Els, was using my book Sew a Row Quilts, which she had bought in for me to sign. She proudly showed me one of her row quilts. We were impressed with Els’s fabric book of techniques. 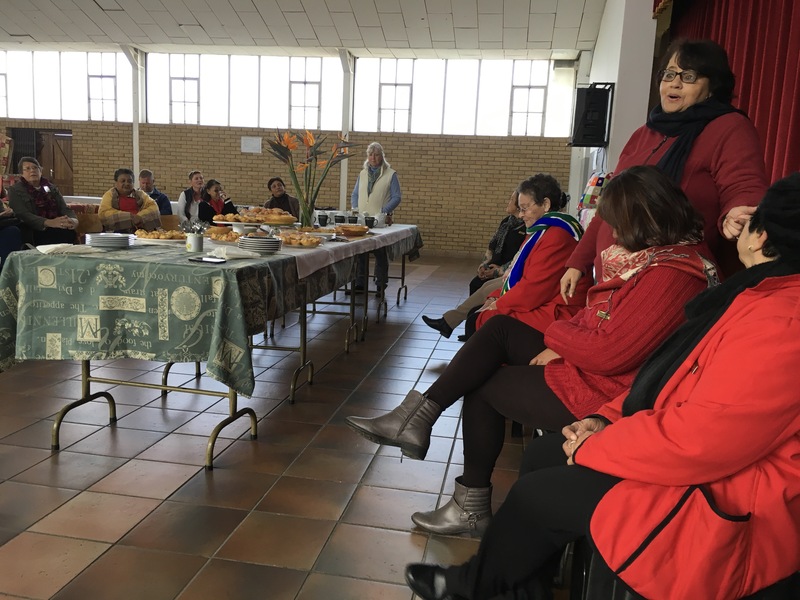 The Boland Kwilters meet in the church hall and alongside is the Pniel Congregational church which has Simon’s mountain in place of a church tower. We stood in awe looking at this magnificent mountain. 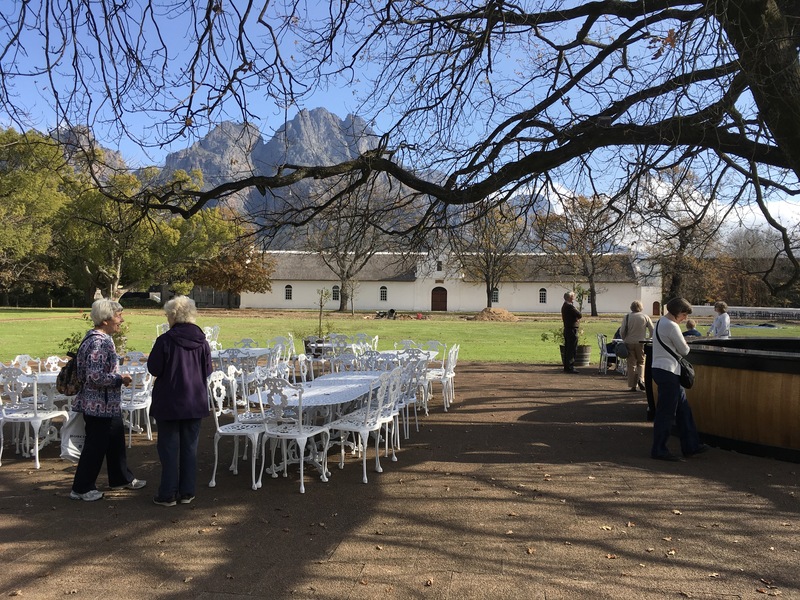 After lining our stomach with the delicious food we drove a few minutes down the road to the Boschendal Winery. 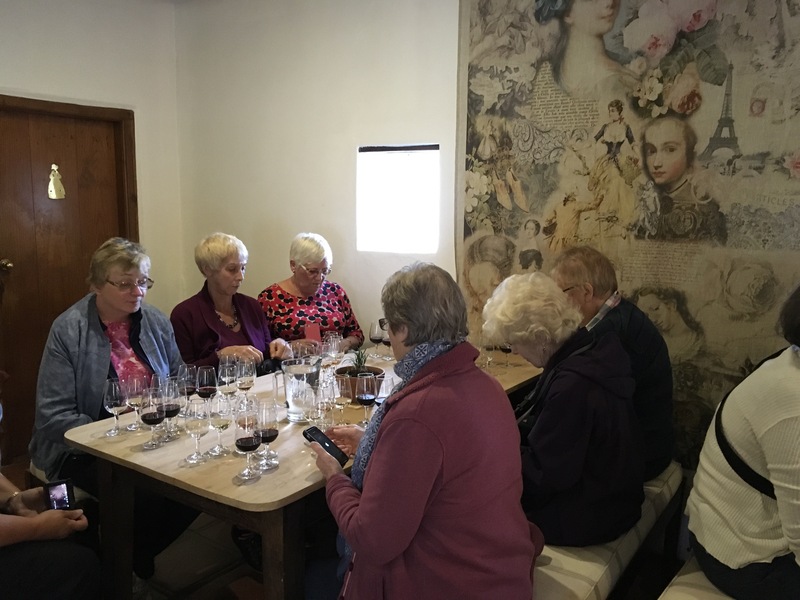 A wine tasting had been arranged for us. We all managed to get back onto the coach without incident! Tonight we are staying in the centre of Stellenbosch in the attractive Oude Werf Hotel. 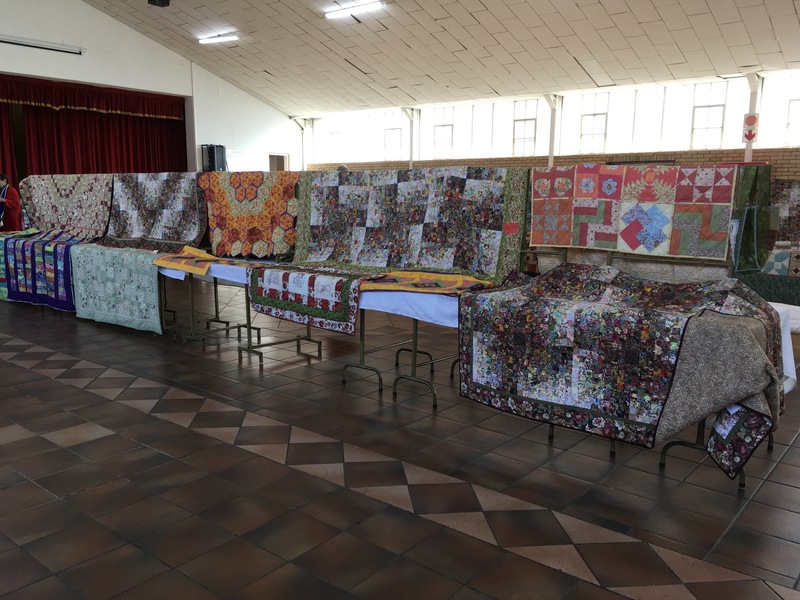 At 5pm we have two local quilters coming over to do a ‘Show and Tell’. Photos will be posted to Facebook. 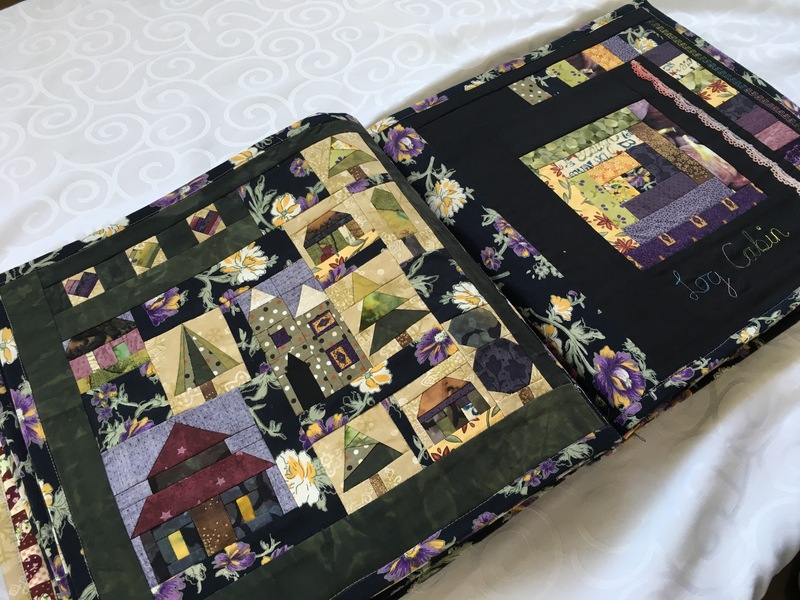 International quilting teacher and author. 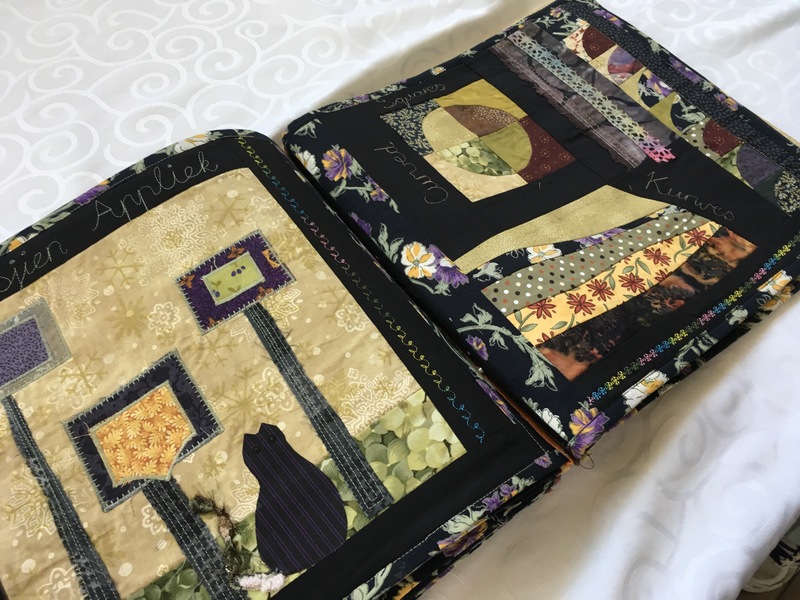 Looking forward to semi-retirement after 23 years owning Quilters Haven shop/online in UK. Works with www. arenatravel.com and www.stitchinheaventravel.com. 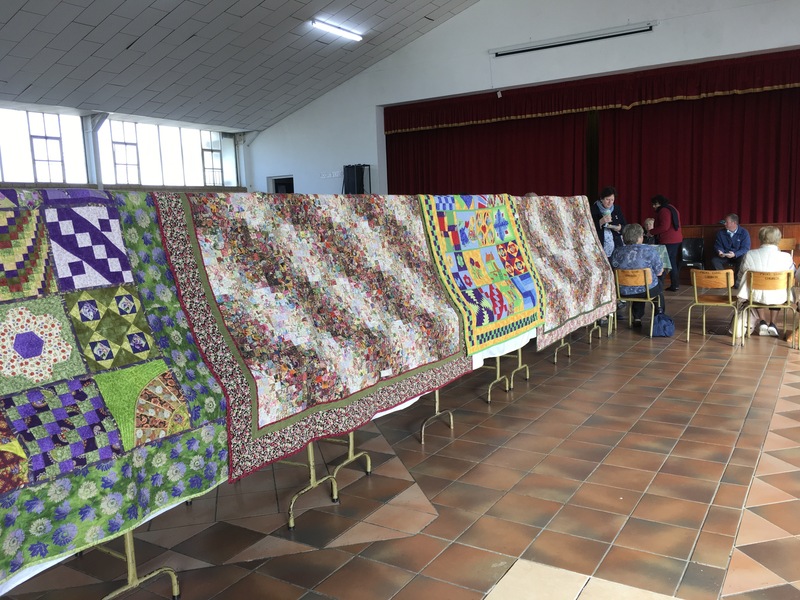 This entry was posted in South African quilting tour, Travel and tagged Arena Travel, Quilts. Bookmark the permalink.